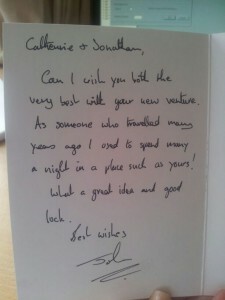 Note from John Stevenson MP to Carlisle City Hostel! 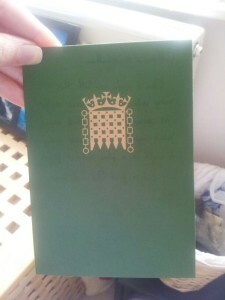 Today me and Jonathan were surprised and grateful to receive a note from our MP wishing us luck with Carlisle City Hostel. What a lovely thing to do!